Brechin is situated just off the A90 between Dundee and Aberdeen on the East Coast of Scotland. It has also has good road links east to Montrose and south to Arbroath. The very slight effort it takes to get here is amply rewarded on arrival in a very attractive town that has a great deal of character. Brechin is a town with a considerable history: even its football club has been around since 1906. The city status suggested by the name of its football club probably owes much to its pre-Reformation importance as an ecclesiastical centre and the presence here of Brechin Cathedral. In the modern era this is reflected not just in the name of its football club. A number of civic bodies have names beginning with the words “City of Brechin…” and these titles should be taken as aspirational rather than literal. It seems likely that Christianity arrived in Brechin with St Dubhoc or Duthoc some time around 600AD. By the late 800s a religious order known as the Céli Dé (or Culdees) had set up a church in Brechin, possibly on the site of an earlier Pictish establishment. This first enters recorded history in 972 when King Kenneth II endowed lands and property to the religious community here. Brechin Cathedral’s highly unusual round tower was built in about 1100, but the rest of the building only took on recognisable form in the first half of the 1200s. 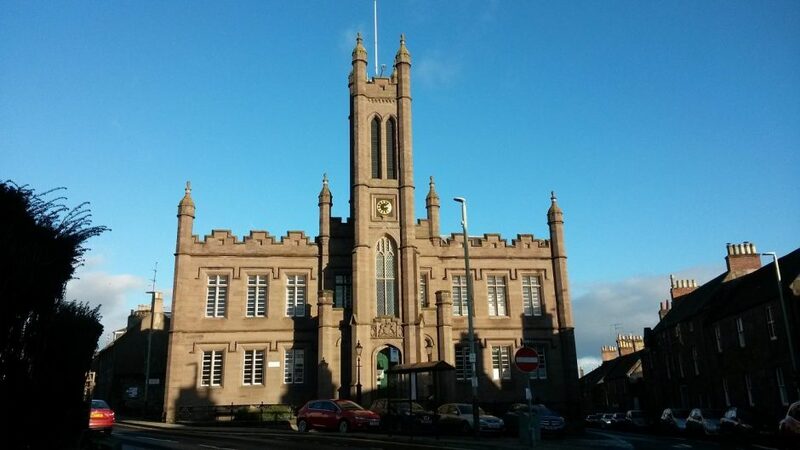 At the heart of Brechin is the Cathedral itself. The warren of old streets to the north and east form a highly attractive “Old Town” and is well worth exploring. The Town House is home to a museum reflecting the history and culture of Brechin. If the old town is one centre of attraction in Brechin, the other is around St Ninian’s Square, a little to the east. Here you can find some of the town’s more attractive Victorian architecture, including the library and, down the hill, a view of the remaining mill buildings. Brechin’s most famous son was Sir Robert Watson-Watt, the inventor of effective radar in the years before World War Two. In 2014 a fine statue of him was unveiled in St Ninian’s Square. A special thank you to Undiscovered Scotland for permission to reproduce this Article.